Provide comfort for the family of Lynne Brickley with a meaningful gesture of sympathy. Litchfield, CT., Lynne Templeton Brickley passed away Jan. 30, 2019, at Charlotte Hungerford Hospital with her family by her side. She was 78 years old. 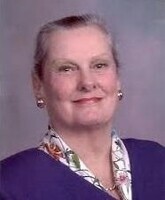 Lynne was the wife of the late Richard Brickley. Lynne was an independent historian who served as a consultant for several prize-winning exhibitions at the Litchfield Historical Society. A resident of Litchfield since 1968, Lynne was President and Trustee of the Litchfield Historical Society, an active member of the Litchfield Garden Club and the Litchfield Democratic Town Committee, and a board member of the Litchfield Preservation Trust and the Connecticut Trust for Historic Preservation. Lynne was born in Buffalo, NY, the third child of Richard Harkness Templeton and Corinne Flaacke, and grew up in Chicago, IL. She graduated from Sarah Lawrence College and worked at the Chicago Sun Times. She married the late Marshall Field IV in 1964. In 1972, she married Richard Brickley and moved to Boston. Lynne received her doctorate from the Harvard Graduate School of Education and served as a Trustee of Park School, President of the Beacon Hill Garden Club, and a Founding Trustee of the Friends of the Massachusetts General Hospital Cancer Center. Lynne was predeceased by her sister, Rini Templeton. She is survived by her daughter, Corinne Field, and son-in-law, Philippe Sommer, of Charlottesville, Virginia; her step-sons, Richard Brickley, Jr., and James Brickley, both of West Palm Beach, FL; her grandchildren, Thea, Phoebe and Elliot Rossman, of Charlottesville, VA; Katie B. Kemp, of Bozeman, MT, Parker Brickley, of New York, NY, Lydia Lenzen and Christopher Bastedo, both of Atlanta, GA; her brother Richard Templeton, Jr., of Brisbane Australia, his daughters Cali, Landi, and Fleur; and her loving poodle Zelly, of Litchfield, CT. The family will hold a memorial service in Litchfield later this year. In lieu of flowers, contributions in Mrs. Brickley's memory may be made to the Litchfield Historical Society, PO Box 385, Litchfield, CT, 06759. To send flowers in memory of Lynne T. Brickley, please visit our Heartfelt Sympathies Store. Donations are being accepted for: LITCHFIELD HISTORICAL SOCIETY. We encourage you to share your most beloved memories of Lynne here, so that the family and other loved ones can always see it. You can upload cherished photographs, or share your favorite stories, and can even comment on those shared by others. Provide comfort for the family of Lynne T. Brickley by sending flowers.